Gemma Snell worked in the advertisement industry for companies such as the Orange County Register and Cox Communications. After a successful career with these companies, Gemma decided to follow her passion and pursue a career in the financial sector. Prior to joining Tax & Financial Group (TFG), Gemma was a Client Manager for Bank of America's, Premier Banking and Investments division where she managed high net worth clients' credit, liquidity, investment, and estate planning needs. At TFG, Gemma specializes in guiding business owners, high net-worth individuals, and corporate executives with the accumulation and preservation of wealth. She uses a comprehensive process which addresses investments, retirement, estate, and business strategies as well as life, health, and disability insurance programs. Gemma's philosophy is a commitment to excellence and a desire to serve her clients to achieve their financial goals in life through education, discussion, and a core belief to do what is right for the client. 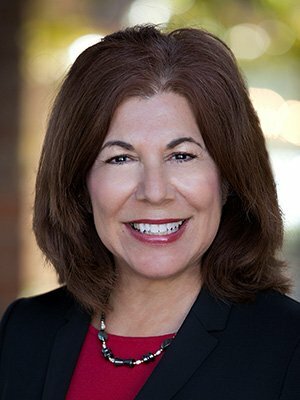 Gemma is Co-President of EPSOC (Estate Planning Council South Orange County) and is also an active member of WISE (Women's Interactive Sales Exchange), a nation-wide financial services organization. She also serves on the board of TFG's "We Care For Kids" Annual Golf Tournament which raises funds for terminally ill children of the Make-A-Wish Foundation. Gemma received her Certificate in Personal Financial Planning from the University of California, Irvine. She has earned multiple securities registrations in order to facilitate the financial needs for her clients, including the series 6, 63, 65, and 7. Additionally, she is a Registered Representative and an Investment Advisor Representative with Securian Financial Services Inc., member FINRA/SIPC. Gemma believes in strong family values and volunteers her time to the Armenian Relief Society whose main objective is to aid in the social, educational, health and welfare of the Armenian people. Gemma is an avid tennis player and participates in tennis tournaments that raise money for charities such as ovarian cancer, and inner city youth programs.